The Page 99 Test: Michael Shenefelt & Heidi White's "If A, Then B: How the World Discovered Logic"
Michael Shenefelt & Heidi White's "If A, Then B: How the World Discovered Logic"
Michael Shenefelt has a doctorate in philosophy from Columbia University and began teaching logic after having worked previously as a newspaper reporter. 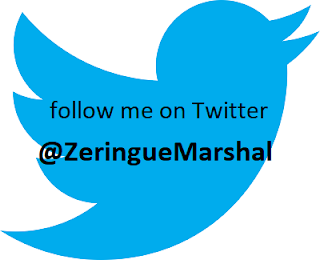 He is the author of The Questions of Moral Philosophy. Heidi White has a doctorate in philosophy from the New School for Social Research and a master's degree in the history of ideas from the University of Texas at Dallas. She teaches philosophy and intellectual history and is a former U.S. Peace Corps Volunteer. Both authors teach Great Books at New York University's Liberal Studies Program. 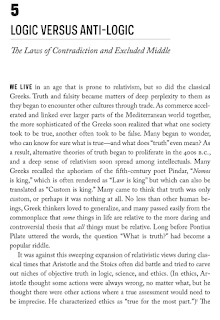 The classical Greeks were prone to relativism—just like us. 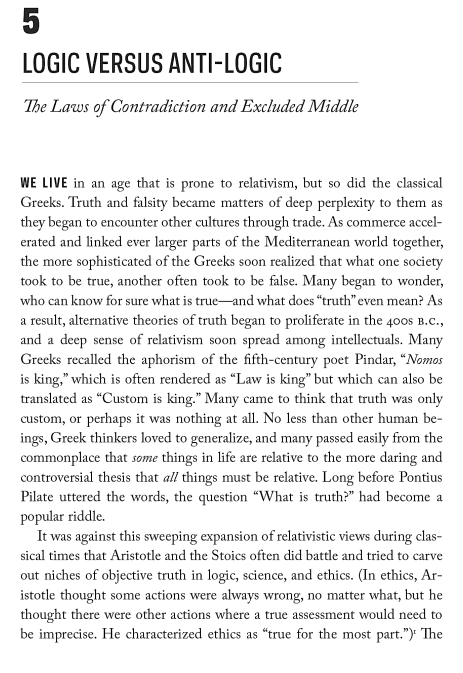 Relativistic opinions are now common in the modern world, and page 99 [inset, below left] tells the story of how relativism first grew out of ancient trade. Relativism was particularly important to ancient logicians because the whole point of their studies was to show that logic is not relative. On the contrary, in their view, logic is objectively true. And it is objectively true in a very strange way. necessity. And logical truths seem to be independent of space, of time, and of passing human opinions. Logic isn’t like language, varying from culture to culture. Logic is like arithmetic—with objectively right and wrong answers. Just as the number seven has been prime to every culture that has ever defined prime numbers, so the most common methods of deductive reasoning have always been logically valid. Of course, not everyone sets forth a logician’s definition of validity in the first place, and not everyone pursues the idea to its further reaches. But those who reflect on it always arrive at the beginnings of the same abstract realm, a realm infinitely complicated yet implicit in much that we do—a realm of form, structure, and pattern discovered twenty-three centuries ago. And the nature of that discovery was strange, just as logic itself is strange. For one thing, though everyone uses logic, not everyone studies it (just as, though most people walk, not everyone studies walking). Logic as a discipline begins only with the Greek philosopher Aristotle, and peculiar as it sounds, all modern studies of logic in the sense of deductive validity (meaning logical necessity) descend from his efforts. The deductive validity of argumentation was studied by later Greeks, by later Romans, by Arab physicians serving powerful caliphs in the tenth century A.D., and by medieval theologians working in various European universities. It is now studied by computer programmers the world over. If the truths of logic are objective and culturally invariant, why does the study of logic show up only in particular times and places, like Greece in the fourth century B.C.? This is one of the questions we mean to answer as we trace logic’s history from ancient times to the present. Learn more about the book and authors at the If A, Then B website. "The Vulnerable in International Society"
Anna L. Peterson's "Being Animal"
Celeste Montoya's "From Global to Grassroots"
Adam Rome's "The Genius of Earth Day"
Philip F. Napoli's "Bringing It All Back Home"
Donna Dickenson's "Me Medicine vs. We Medicine"
Mary Pipher's "The Green Boat"
Brian Fagan's "The Attacking Ocean"
Mason B. Williams's "City of Ambition"
Bridget Anderson's "Us and Them?" Dean King's "The Feud: The Hatfields and McCoys"
Gordon K. Mantler's "Power to the Poor"
Allen C. Guelzo's "Gettysburg: The Last Invasion"